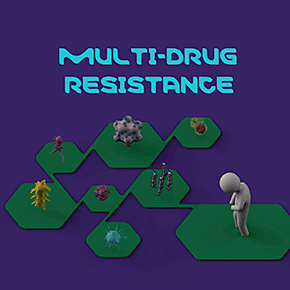 Antimicrobial resistance threatens the effective prevention and treatment of an ever-increasing range of infections. CDC estimates that in the United States, more than two million people are sickened every year with antibiotic-resistant infections, with at least 23,000 dying as a result. There are high proportions of antibiotic resistance in bacteria that cause common infections (e.g. urinary tract infections, pneumonia, bloodstream infections) in all regions of the world. A high percentage of hospital-acquired infections are caused by highly resistant bacteria such as methicillin-resistant Staphylococcus aureus (MRSA) or multidrug-resistant Gram-negative bacteria.